Thirteen-year-old Max loves Aqua Adventures, one of the awesome Trips Camps, offered by Beaver during the final session every summer. He’s woken up every day this week looking forward to a new experience, a new location, a new activity. According to Max, the experience has certainly been worth the wait. Why? 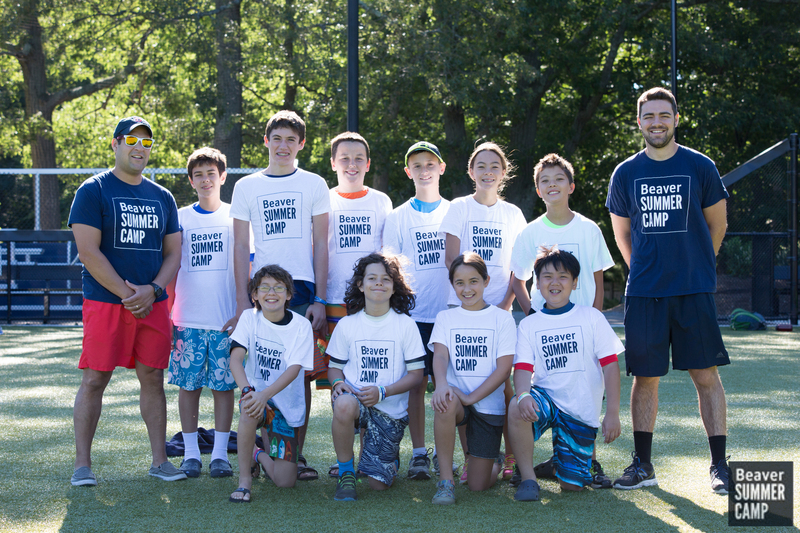 First, some facts about Max: He’s been attending camp at Beaver for ten years, having spent time in Lower, Middle, Upper and Senior Camps, as well as in Day Trippers and Extreme Sports. During the school year, Max is a student at Beaver; he’s entering seventh grade. Yes, Max is definitely a fan of all things Beaver! When asked why he signed up for Aqua Adventures, Max said that he was intrigued by what he had heard about the camp. He’s a swimmer but hadn’t really done too many water activities on his own, and he wanted to explore other aquatic adventures. Max really appreciates the variety offered in Aqua Adventures. He says, “It’s not just water park after water park. It’s kayaking, going to new beaches, lots of fun stuff.” He also really admires his counselors, Alex and Ryan, whom he describes as “nice, friendly, and good to be around.” So far this week, Max and the ten other campers in his group have gone indoor surfing, kayaking, to Water Wizz, and to Brownstone Park, a place that Max describes as “a really cool and beautiful park on a lake.” He also beamed when he spoke of jumping off 30 feet in a cliff jump, emphasizing that there is nothing scary about Aqua Adventures; it’s a challenge-by-choice situation. Max appreciates the independence and the flexibility that he’s offered in the camp, but he feels supported and secure. It’s a nice balance for him. I asked Max whether he would recommend the camp to his friends, and he said that he would, since it’s a really fun camp in which you get to meet new people. In fact, Max only knew one other Aqua Adventures camper prior to this week. But, he said, he’s definitely going to miss the friends he’s made when the program is over. Max gave his interview on Friday morning, before the last day of the week-long program. He actually had no idea where the group was off to that morning, but he didn’t care. He said, “I know it’s going to be great and that I’m going to have a fun time.” Well said, Max. (Incidentally, they went paddle boarding at Discovery Adventure. I have no doubt Max had a fantastic time!) Read more about Aqua Adventures here.